Parnell Square Cultural Quarter project sponsor, Brendan Kenny, Assistant Chief Executive, Dublin City Council, presented a project update report to the Council’s Arts, Culture, Recreation and Community Strategic Policy Committee meeting on 6th July 2015. This report outlines the ongoing work on the project including the approval of Report number 185/2015 at the meeting of the City Council on 8th June 2015, concerning an exchange of properties between Dublin City Council and The Office of Public Works. In exchange for a property at Jamestown Road, Dublin 8, the OPW has transferred ownership of the former Coláiste Mhuire buildings to the City Council. The Parnell Square Cultural Quarter project has entered Stage 2 (a) and a series of design development workshops has been scheduled between key stakeholders and the design team to look in detail at requirements for the complex. The report also highlights the PSCQ Digital Storytelling Project entitled: ’Dublin: A Great Place to Start’ reflecting and celebrating the City Library’s new start at Parnell Square. Through a series of facilitated workshops, participants will be encouraged to retell stories of their Dublin ‘starts’ – new home, a new family, a new business or a new start in life, celebrating diversity in the area of Parnell Square and its surrounding streets and squares. 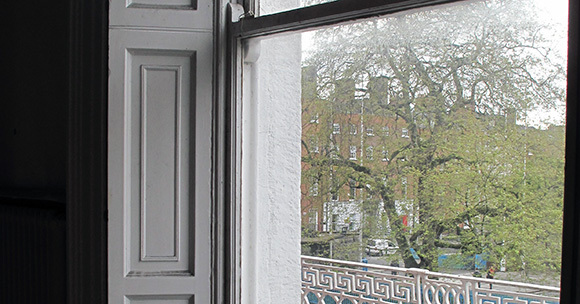 The previous project report (11 May 2015) presented to the Arts, Culture, Leisure and Community SPC outlined our vision for the spaces to be created at Parnell Square Cultural Quarter, the works so far, the project structure and budget and the current project programme to completion in 2019. Whatever about “concrete pillars” I’ve no problem with trees. Dublin City Centre needs many more of them.